部長！パン買ってきて？ 上司に言ったら即アウトな convenient - GOTCHA! × What time are you convenient? ○ What time will you be available? 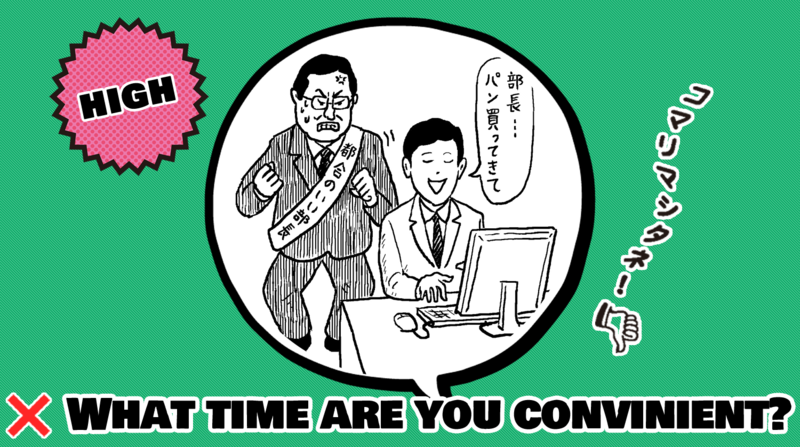 ○ What time is convenient for you? ①Tomorrow will be convenient for me. ②These cars are available right now.